Hi there, today and I have a very summery card here with full of flowers. 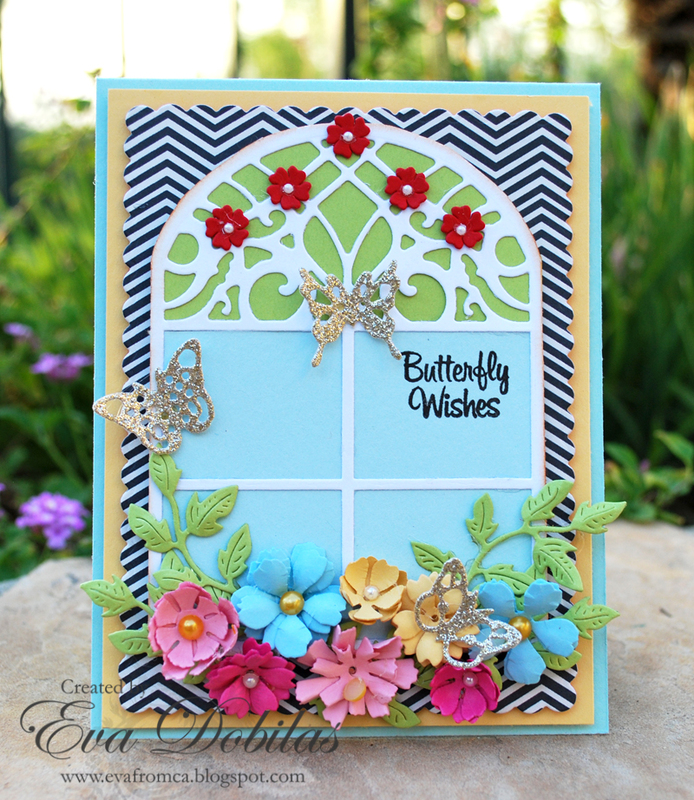 As I thought of what I could create for this week's challenge, well, the first thing popped in my head is the abundance of flowers, so I thought I would create a pretty window scene. 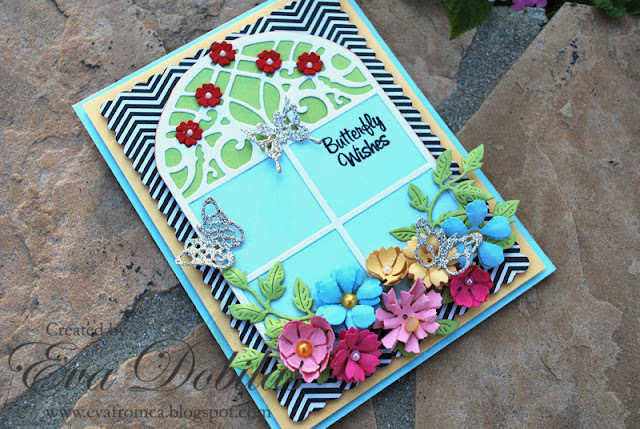 To create my card I first started with an A2 size aqua color card stock and I layered a slightly smaller yellow card stock on top of it and I die cut an A2 Frames rectangle Scalloped using patterned paper. Than I cut a Window A and I cut around it to cut it out and backed it up with aqua and green card stock to create a backdrop to it. I stamped my sentiment in one of the windows. I die cut Baby's Breath Flower Kit using red card stock and added it to the top of the window as decorations. I die cut, shaped and put together all my pretty flowers I listed below and added it to the bottom of the window and added some Ivy Strip. As a final touch I die cut Mini Butterflies out of gold glittered card stock and added it to my card.